My Crafty Cupboard: World Book Day 2011 !! World Book Day 2011 !! Me and Mr Twit at school! 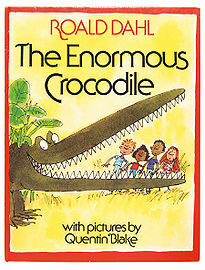 The Enormous Crocodile (literally) - a great story for kids and grown-ups too! Good job I've been trying to stick to my diet! Now.... what shall I go as next year?!!! What a sport you are Sue - that's brilliant. Our school didn't do dressing up for World Book Day this year, I'm not sure why they didn't!!!! They gave out the book vouchers and had the books in to sell! Oh wow, you look fab......we should never underestimate the benefits of having crocodile costume kicking around at home, lol! Fab costume Sue - you look great! 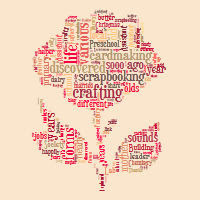 Thanks for popping by my blog and giving me the website for jgd crafts for the permanent adhesive for my Xyron - I've ordered from them - good value too and free p&p is brilliant. Great costume Sue.......was it 12 months ago we saw you as Harry Potter??? Blog Candy Closed - We have a winner!